TORONTO, July 29, 2010 – Toyota Canada Inc. (TCI) today announced that it intends to conduct a voluntary safety campaign involving approximately 4,200 2000-2004 Model Year Toyota Avalons to address the possibility that the vehicle’s steering lock bar could break under certain conditions. 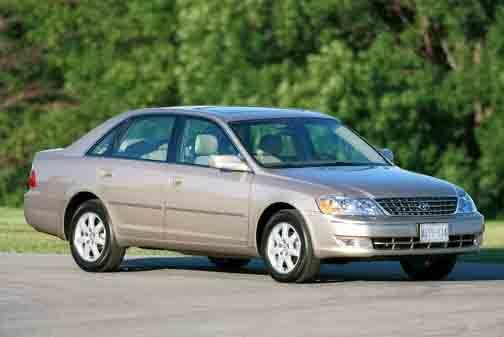 No other Toyota or Lexus vehicles are involved in this recall. Because of improper casting of the steering lock bar, which is a component of the steering interlock system, there is a possibility that a minute crack may develop on the surface. Such a crack may expand over a long period of repeated lock and unlock operations, and eventually the lock bar could break. If this occurs, the interlock system may become difficult to unlock when stationary. If the vehicle while being driven is steered to the right with sufficient lateral acceleration, a broken and loose lock bar may move toward the steering shaft. If the engagement hole in the shaft happens to line up at the specific time the broken lock bar has moved, this could cause the steering wheel lock bar to engage, locking the steering wheel, and increasing the risk of a crash. Toyota is not, however, aware of any accident related to this condition in Canada. Continuing to work diligently to address safety issues wherever they arise and to strengthen global quality assurance operations so that Toyota owners can be confident in the safety of their vehicles, as part of the recall, Toyota will replace the steering column bracket on involved vehicles, a procedure that takes about two hours to complete depending on the dealer’s schedule. Toyota will notify owners by first class mail beginning in late August 2010 to bring their vehicles to their local Toyota dealer for replacement of the steering column bracket at no charge to the customer.